The following is a guest post by New Milford High School sophomore Sarah Almeda. After learning about her Chemistry blog titled Avogadro Salad I asked her to share some insight on the importance of blogging from a student's perspective. I was so blown away by what she wrote below that I went against my long standing personal policy of not following my students on Twitter. Please take a minute to read Sarah's post below, share a comment with her, and check her out on Twitter. This is one amazing student! ...Um, because Ms. Smith made me? I’m Sarah Almeda, a sophomore at New Milford High School. Somehow, I can have twitter conversations with my teachers and my principal. 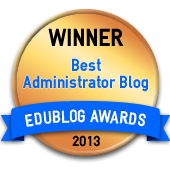 Somehow, they led to Mr. Sheninger giving me the opportunity to write a guest post on the importance of student blogging. 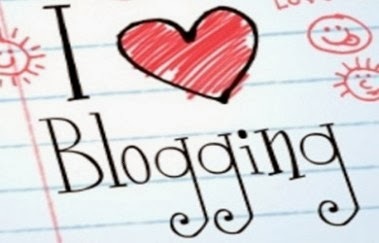 I’m a blogger at heart, as I have been since 4th grade. That’s probably why I was actually excited when my chemistry teacher, Ms. Smith, opened the year by telling us that part of our assessment in the course would be the regular maintenance of a blog. This included posts twice a week that connect chemistry to our world. Now, I’ve posted almost daily to a personal blog for years and I’m grateful for the decision. I’m told I’m a very good writer. I’m not trying to boast; my writing visibly improved when I started blogging and I can tell you why. Teens turn to the internet for validation, myself included. Why? When I post to my blog, I don’t write to impress a teacher. My audience is the World Wide Web, which is literally worldwide. I attract viewers from all around the globe. When a post gets attention, some views, likes, comments, or even subscriptions, I look at the post and think, Wow; I had some valid ideas that a complete stranger could relate with. What did they like? How do I turn these visitors into regular readers? When a post gets no attention, I then think, What would be more interesting? What will lead viewers to my blog? How do I get a response? Rather than having a teacher hammer the importance of good writing into my head, I get to feel it in a very real world situation with immediate feedback. I don’t just learn about writing, either. Yesterday, my friends were genuinely interested to hear me talk about how one day our phones may literally be coated with nanodiamonds. I learned that from an article I blogged about. Now I’m always learning a great deal about topics that I decide are interesting to blog about, like the chemistry behind a bad hair day. Not to mention that my chemistry blog is a blessing for someone whose homework always seems to disappear rather inopportunely. I can put an assignment on my blog in the “Homework" category, protect it from copycat classmates, and email the password to Ms. Smith so she can view it whenever she needs to. Not convinced yet? I learned HTML coding when finding ways to better format blog posts, and it’s become a very useful skill. A personal blog’s also the perfect place to vent my feelings. After articulating my emotions to an Internet audience, I realize I’m better understanding myself. In an Internet world where that wretched teenspeak is the preferred language on nearly all social media platforms (bc my insta captions/ tumblr posts r like so articulate lol jk idec) blogging is a practice that expands learning way beyond the walls of the classroom. It encourages self-improvement and dedication in a way that I don’t believe can be taught as well as it can be experienced. And it's addictively fun! So, pull a Ms. Smith move! Teach kids to blog! Start one yourself! Trust me, you’ll find the time, you’ll find the passion, you’ll find out a lot about the world, and you might even find out more about yourself. And watch out for me! You can find my chemistry blog by clicking HERE, and I’m even building my own website with the awesome tools I learned in business class at NMHS. Please take a moment and leave a comment for Sarah. Not only is she a talented blogger, but an artist as well (see her self portrait below). She, like many of her NMHS classmates, fully take advantage of everything that NMHS has to offer to advance their learning and follow their passions. This post is the second in a series that will outline the foundational elements of my new book, Digital Leadership: Changing Paradigms for Changing Times. It is set to be published by Corwin Press on January 14, 2014. Currently there is a pre-publication discount of 15% for any orders before this date. Over the next couple of weeks I will introduce what I have come to identify as the Pillars of Digital Leadership, a conceptual framework for leaders to begin thinking about changes to professional practice. My book will focus on each of these elements as part of a change process. It will illustrate them in action through the work of practitioners and provide implementation strategies. To view the entire series click HERE. If you don’t tell your story someone else will. More often than not, when someone else tells your story, nine out of ten times, it is one that you don’t want told. This is the reality for virtually every school leader. In the past I feared and dreaded the roll of public relations as the typical situation played out time and time again. No matter how much progress we made, or success we experienced, it was always that one negative story that would dominate the media coverage and sway public opinion. I can vividly remember each news situation that completely blew things out of proportion and greatly distracted from the meaningful and significant work that was occurring on a daily basis. There is a fundamental problem with the mainstream media when it comes to public relations. That problem is that they are a business. In order to generate business they must create and promote stories that capture the attentions of their intended audience. Make no mistake about it, the media wants and needs to make money. When it comes to education the most controversial and negative stories are the ones that attract viewers and in turn generate revenue. I don't know about you, but I grew quite resentful of the media in the past as they would be so quick to call my office to comment on a negative situation, but would not give me the time of day when I had a positive story for them to cover. Sound familiar? Thankfully this all changed in late 2009 as I discovered the power and value of using social media as a public relations tool. I began to generate our own news related to New Milford High School and quickly learned of the many tools available that could be used at anytime from anywhere to tell our story. In essence, I became the storyteller-in-chief. 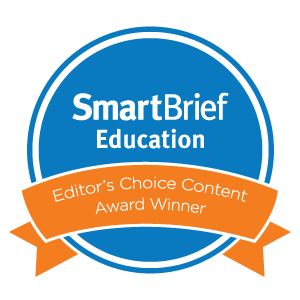 As a result of the innovative work my students and teachers were engaged in, I discovered that there was an abundance of newsworthy content that my stakeholders craved. Instead of reaching out to the media to cover these stories, we in essence became the media using mainstream tools such as Twitter, Facebook, YouTube. As social media has evolved so too has our public relations strategy as we are now integrating Instagram, Pinterest, and Tumblr to tell our story. The end result is that the media now comes to us and/or follows our social media channels to capture our story. Since taking control of our public relations at NMHS in 2009, the NYC, CBS, and NBC affiliates as well as USA Today, USA Weekend, Education Week, and Scholastic Administrator have all reported on positive news stories. I have literally lost count of additional media coverage, as it has become the norm. It has also led to the establishment of professional relationships with reporters who want to tell accurate and positive stories about innovative schools. Chapter 6 in my book takes a detailed look at how digital leaders leverage available social media tools to enhance public relations. It places an emphasis on the work of John Carver and how he has become a public relations juggernaut for two different districts in Iowa. It also breaks down the strategies and tools that I use on behalf of my school to tell our story. Community and transparency are the bedrocks of public relations in the digital age. This fact makes social media a natural fit. 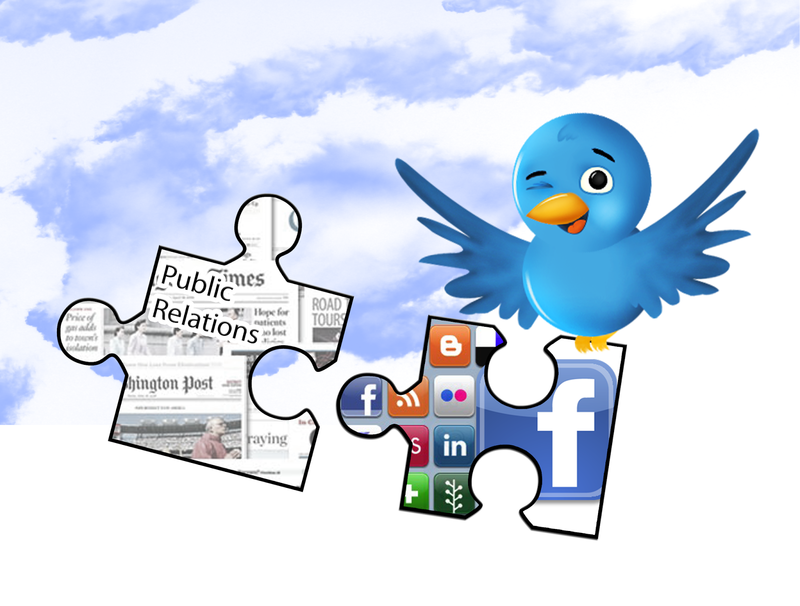 How are you using social media for public relations? At New Milford High School teachers are adapting their professional practice as we continue to evolve into a Bring Your Own Device school where student-owned technology integrated effectively. NMHS teachers are also beginning to to integrate social media tools that are blocked and banned in the majority of schools across the country. Ms. Smith’s science class has gone paperless. Students complete assignments whether it’s homework, class work, projects and tests all online using various websites, such as, Edmodo, Tumblr and Instagram on their BYOD devices. 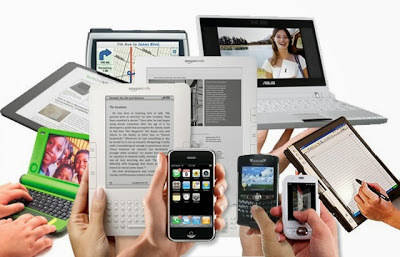 They also use their smart phones, iPads, iPods and digital cameras to take notes or to capture information. All pictures, notes and assignments are posted on the websites, e-mailed or placed on their private homework blogs. This has led to more student engagement, accountability and participation in the classroom, peer reviews and instant feedback to the students on how they are progressing. Students also used Instagram as a communication tool (like texting) as a way to give feedback, make comments and to reflect on what they have been learning. This works extremely well in Bioethical Studies, where some students may be reluctant and shy to express their opinions. One topic had 143 comments in the forty-eight minute period. Using Instagram allowed everyone to have a voice and be heard. They have also used Instagram/Webstagram to send short video when Ms. Smith has been absent to show they have been engaged, completing their work, and staying on task. Make sure you follow Ms. Smith on Twitter. What tools and techniques are you using to go paperless in your classroom and/or school? This post is the first in a series that will outline the foundational elements of my new book, Digital Leadership: Changing Paradigms for Changing Times. It is set to be published by Corwin Press on January 14, 2014. Currently there is a pre-publication discount of 15% for any orders before this date. Over the next couple of weeks I will introduce what I have come to identify as the Pillars of Digital Leadership, a conceptual framework for leaders to begin thinking about changes to professional practice. My book will focus on each of these elements as part of a change process. It will illustrate them in action through the work of practitioners and provide implementation strategies. If you were to look at the many characteristics that great leaders share, effective communication would be at the top of the list. Abraham Lincoln, Winston Churchill, and Dr. Marin Luther King Jr. were great leaders who could transfer a message like no other. Each was able to achieve success in part due to his ability to effectively communicate. You would be hard pressed to identify an effective leader who was a poor communicator. Communication serves to provide information, convey our vision, lay out the elements of a strategic plan, promote values, motivate stakeholders, and quell perceptions that are not accurate. It is an art that combines inter and intra-personal skills with mediums to amplify an intended message. The art of communication has not changed, but the tools that we have at our disposal to deliver our message has. 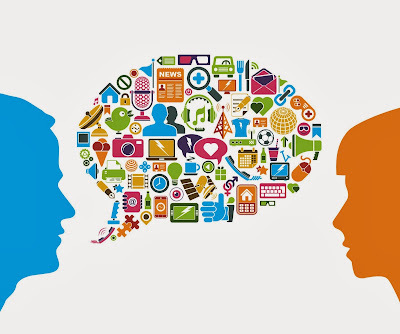 As society has evolved, the way in which the world communicates and interacts has as well. Digital leaders understand that technology provides a variety of pathways to initiate two-way communication with stakeholders. Traditional means, such as newsletters and email, no longer suffice as cornerstones to a communications strategy. 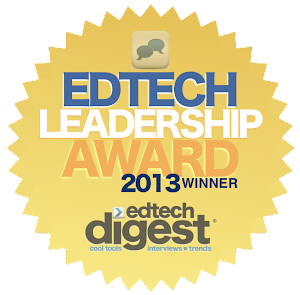 Digital leaders seize upon the opportunity presented by digital tools (i.e. 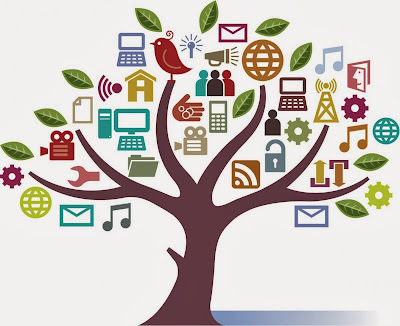 social media, mobile apps, video conferencing) to meet stakeholders where they are in order to convey a message and elicit feedback on initiatives. In a world where access to and consummation of real-time information is the norm, digital leaders adapt their strategy to become more effective communicators. This is not to say that traditional means are no longer important elements of an effective communications plan. They are, but digital leaders understand that the rise of mobile devices in particular has dramatically changed the way that stakeholders receive and access information. The most effective communicators in society today are those that continue to develop and refine traditional means while leveraging digital tools to have a more profound impact. Whether you are a principal, superintendent, or teacher improving how you communicate plays a role in your success as an educator. Chapter 5 in my book takes a critical look at how digital leaders communicate. It places an emphasis on the work of Joe Mazza and how he has increased community engagement through a variety of communication strategies involving technology. After reading this chapter any educator regardless of his/her role will have a collection of tools, strategies, and ideas to take his/her communications to the next level. Digital leaders use technology to engage stakeholders in conversations. These conversations become the building blocks to create and support meaningful relationships based on the positive messages embedded in our communications. To put it simply, without effective communication, there’s not effective leadership. How have you changed your communications strategy in the digital age? I am very excited about my upcoming book titled “Digital Leadership: Changing Paradigms for Changing Times” which will be published by Corwin Press. The entire book looks at leadership through the lens of practitioners in the digital age. Effective leadership is extremely important in any system, but it is even more imperative in schools if we are to provide all learners with a world-class education. This education has to be relevant, meaningful, and applicable. At New Milford High School, we have been working for the past four years to transform our culture to one that is primed for student engagement, learning, and achievement. It is my hope that this book will provide a framework for other educators to begin the change process that will ultimately lead to transformation. So how would one define digital leadership? I think it is important to first look at the concept of leadership in general. Wikipedia defines leadership as a process of social influence in which one person can enlist the aid and support of others in the accomplishment of a common task. Kevin Kruse defines it as a process of social influence, which maximizes the efforts of others, towards the achievement of a goal. Both of these definitions highlight the importance of social influence. This leads me to ascertain that social media can be an invaluable tool that educators can harness to move schools, learning, and the profession forward. Leadership is no different today than it was years ago. The only difference is that style and focus need to change with the times if we are to accomplish the lofty task of preparing students for a dynamic world that is more social and connected as a result of technology. Leading in a way that supports the status quo, standardization, outdated practices, and misconceptions related to technology, not only does a disservice to our students, but also renders our schools and profession as irrelevant. Digital leadership takes into account recent changes such as ubiquitous connectivity, open-source technology, mobile devices, and personalization. It represents a dramatic shift from how schools have been run and structured for over a century, as what started out as a personal use of technology has become systemic to every facet of leadership. Digital leadership can thus be defined as establishing direction, influencing others, and initiating sustainable change through the access to information, and establishing relationships in order to anticipate changes pivotal to school success in the future. It requires a dynamic combination of mindset, behaviors, and skills that are employed to change and/or enhance school culture through the assistance of technology. The basic tenets of leadership are still valuable and needed for our schools to succeed. However, the changing times as well as society’s reliance on technology demand an evolution of leadership practices to create schools that our learners deserve, and need, to succeed in today's world. It all begins with trust. Digital leaders must give up control and trust students and teachers to use real-world tools to unleash creativity and a passion for learning. 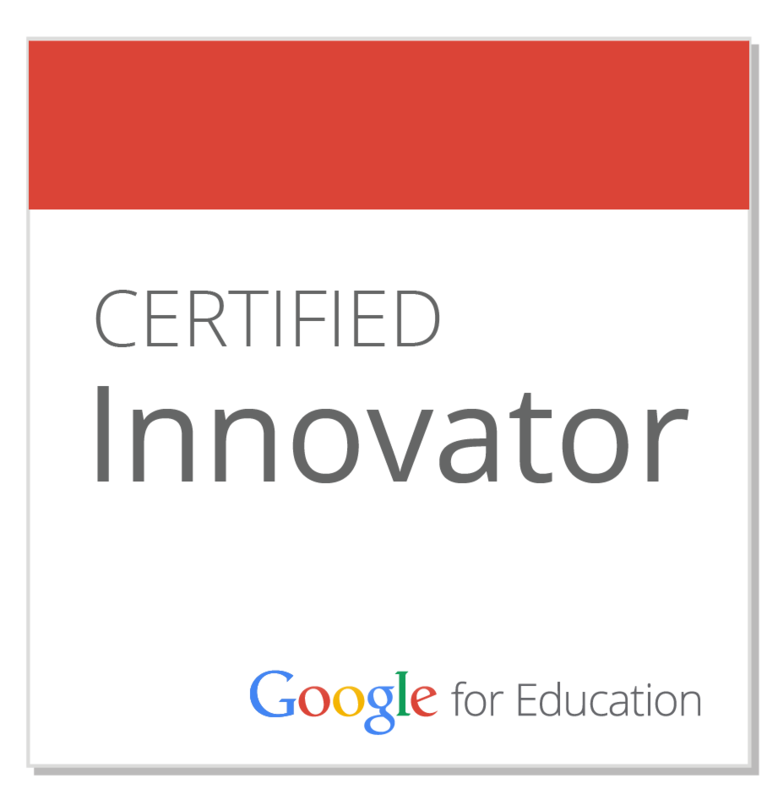 The time is now, whether you are a building level or teacher leader, to boldly move schools forward in the digital age. What have you done and/or changed to become a digital leader? Where did you begin? How have things changed since this shift? For those looking to begin this journey or take your work to the next level please check out my book that will be out this January. You can pre-order now and it will be available for Kindle about a week after it has been published. The forward was written by Yong Zhao and the book itself has been endorsed by some of today's most prominent thought-leaders. How can an English teacher help to develop critical literacy across the curriculum? What follows is a guest post from NMHS teachers who have been collaborating with English teacher Joanna Westbrook to create authentic literacy tasks in each of their disciplines. You will hear from a science teacher, a social studies teacher, and an art teacher as each provides her take on how the Common Core and 21st Century learning goals affect what goes on in the classroom. Science teachers can tend to be myopic, focusing on acquiring content detail and teaching the steps of the scientific method instead of fostering the investigative, critical thinking and written communication skills that embody real-world scientific endeavors. As science teachers for the 21st century, we are tasked with producing, at the bare minimum, citizens who are conversant with the language of science, and who can read, make sense of and make decisions about scientific issues. Optimally, we inspire our students to pursue a career in which they will be posing relevant questions, and using research and inquiry to answer those questions to contribute to humanity’s general body of knowledge or, through technology and engineering, solve problems. 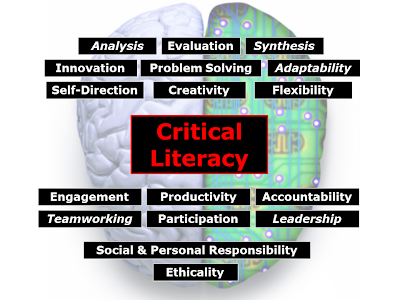 Literacy skills are the foundation upon which these outcomes are built. But we as science teachers can be daunted by the mandate to incorporate English language skills into the curriculum. We have neither the training to assess such skills nor the language to develop such assessments. We are concerned about our students’ weak explanatory writing skills and would like to see those skills improve. But we need help. While we can develop assessments that approximate authentic science writing tasks, we need help identifying the literacy elements we should be assessing. We need guidance in phrasing a rubric so it is clear to both students and teachers what we are looking for when assessing literacy in science. Even more importantly, we need to partner with English teachers to provide the scaffolding necessary for our students to write informational text with increasing clarity. Presenting Infographics in Science: That’s why I began the year with a conversation with Mrs. Westbrook (one of our 9th grade English teachers) about how the cognitive learning goals in science class connect to the cognitive learning goals in English class. What grew out of that conversation was the Infographic Project. For this project, I had my students collect data then present it graphically using Infographics such as bar graphs, a column graph, a pie chart, or a hierarchy. In addition, I required students to explain how the data compared to other representative data, draw conclusions, and make specific recommendations based on the data they presented. Click HERE for description of the assignment. Learning about history offers meaningful and authentic opportunities for students to express their knowledge of the subject matter through writing and discourse. History teachers can benefit from working collaboratively with an English teacher by working together to develop activities that engage students in analyzing and synthesizing content -- then applying those skills to authentic writing opportunities. This semester, I was presented with a group of students actively engaged in the content and who have expressed, through their development of quality work products, a deeper interest in the subject matter. I decided to approach Mrs. Westbrook with an advanced text on the subject of Nazi ideology for students in an elective course on the Holocaust and Genocide. The text includes the principles of Nazi Ideology that I teach to the students in two classroom lessons. My goal was to engage the students in the chapters that deal with non-Jewish victims, to broaden their historical framework on the subject matter, and to allow students to understand the many layers that encompass Nazi ideology. Develop an escalating timeline of events that demonstrate the step by step process by which the particular sub group was marginalized. Gather and display 4 pieces of propaganda which best illustrated the Nazi ideological principles that placed this group in this category. Gather 2 documents which demonstrate the systematic nature of the Nazi strategy that marginalized this group of people. Gather 4 archival photographs to provide documented proof of the specific abuse towards the victim group. Utilizing the archives of the U.S. Holocaust Memorial Museum through online access of the collections, students will cite in MLA format their sources. Exhibitions will be presented to students in English classes studying NIGHT utilizing a gallery walk approach. Click HERE for a description of the assignment. Common Core Standards Addressed: RH.9-10.3; WHST.9-10.2; WHST.9-10.4; WHST.9-10.5; WHST.9-10.8. Writing/Literacy skills in art is crucial if we as educators want to empower our students with the 21st century skills needed to engage and question the world they live in rather than merely occupy a seat on the sidelines in life. As a working artist, I recognize how writing is utilized to convey and make connections for my audience. And like all artists, I use my artist statements to clarify and to provide insight into my work. These statements provide the viewer an inside view into the artistic process and the artist’s thinking. In the art classroom reading, writing and art making should be happening simultaneously. It is important for my students to acquire background information on artists and to learn the art making process. But it is even more important that they gain expertise in describing, evaluating, and engaging in critical discourse about art. I am not concerned with the regurgitation of art history dates and names and meaningless artist information onto paper. No one needs another report on an artist. What I am more interested in is that my students learn during the creating process. It is important for my students to understand why artists choose certain themes, why they choose certain art processes, why imagery and ideas change, and what connections to world history are apparent. But like my science and social studies colleagues, I too need guidance to develop literacy components that encourage my students to build on their visual imagery and insight. Mrs. Westbrook and I have been collaborating to create writing components that support what my students are learning in Art. One such assignment is the creation of Artist Statements to accompany their finished pieces for exhibition. We used exemplar texts from our MOMA fieldtrip as students worked to create statements that mirrored the professional standards of the art world. This assignment gave them experience in articulating their process and in writing clear statements that describe their own intended effect. We then created a rubric that balanced the literacy demands of the Common Core with the content I wanted to see in their finished pieces. English teachers are the lynchpin for the common core in our buildings – the new standards combine the critical literacy and thinking skills we have been addressing in our instruction for years and challenge us to find new ways for our kids to interact with and learn content. As English teachers, we all know writing in the content area can no longer be centered on tired, recycled 5 paragraph essays our students write year after year – the idea of making the content classes into extensions of the English class just does not have traction.